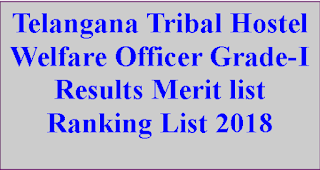 TSPSC has conducted written examination for recruitment to the post of Hostel Welfare Officer Grade –I in Tribal Department, notified vide Commission’s Notfn No.06/2018 on 18/04/2018 FN & AN. The Merit List of this notification is prepared and is made available in the Commission’s Website. 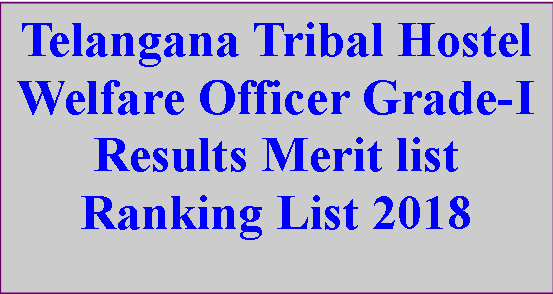 Download Telangana TSPSC Tribal Hostel Welfare Officer Grade-I Results Ranking List Merit List 2018 Available Now.